Mitzi Scott passed away in Santa Clarita, CA, on May 3, 2012, at age 93. 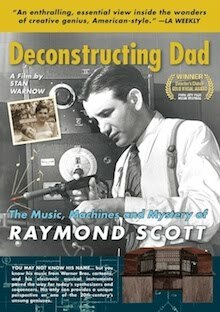 She was the widow of legendary composer, jazz bandleader and electronic music pioneer Raymond Scott. Born Mathilde Waldman, on July 18, 1918, in New York City to Muriel and Arthur Waldman, she grew up in the city, where she started dancing at age 10, thus developing a lifelong passion. From 1937-43 Mitzi was part of the Roxyette troupe at the famed Roxy Theater on West 50th Street. In 1943 she first appeared on Broadway, and eventually performed in the musicals Star and Garter (with Gypsy Rose Lee), Something for the Boys (with Ethel Merman), and the road company of Let's Face It (with Benny Rubin). She performed on three national USO tours, headlined by Bing Crosby, Jackie Cooper, Phil Silvers, Martha Raye, and James Cagney. In 1946 she married Hewitt Clay Curtis. The marriage dissolved a year and a half later, after which she sold advertising for the Miami Daily News and the Long Island Star-Journal. She became a dance instructor for the world-renowned Arthur Murray Dance Studios, and then served as a District Manager for Avon Cosmetics. Mitzi was introduced to Raymond Scott in July 1966, and they were married in January 1967. (It was Mitzi's second marriage, Raymond's third.) She lived with Scott in Farmingdale, Long Island, at Willow Park, a sprawling suburban industrial park where Scott rented a large space that he had fashioned into a home and electronics lab. 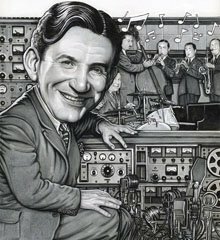 Mitzi undertook the administration of Scott's businesses during a period when he was inventing now-historic electronic instruments and The Electronium, a machine that composed using artificial intelligence. When Scott was hired by Berry Gordy to work for Motown in 1971, the couple relocated to Los Angeles, with Mitzi coordinating most of the cross-country logistics. In retirement, Scott suffered a major stroke in 1987, which eventually caused severe financial hardship for the couple. Mitzi nursed Raymond almost singlehandedly in their Van Nuys home until his death in February 1994, at age 85. 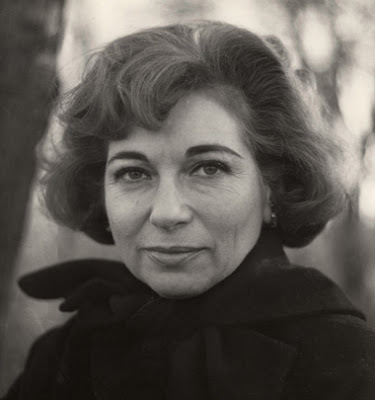 Shortly after her husband's death, Mitzi donated his extensive collection of over 3,000 personally recorded discs and tapes, covering his career from 1932-1987, to the Marr Sound Archives at the University of Missouri, Kansas City. She sold Raymond's no-longer functioning Electronium to Devo's Mark Mothersbaugh in 1996, amid a resurgence of interest in her late husband's music and legacy. In 1997, Mitzi moved to Santa Clarita and joined a troupe of former professional dancers called the Gingersnaps. She was active in several charitable organizations, including Mes Amis, the North Hollywood Women’s Club, the Women’s Canadian Club and the Hope is Forever Foundation (City of Hope), for which she served as an officer. She was a member of the Sages group at St. Stephen’s Episcopal Church. She was a passionate animal lover, and regularly took in stray dogs and cats, and adopted rescue animals. In 2007 the National Wildlife Federation designated her back yard as a certified wildlife habitat. She told the Santa Clarita Signal, "Everybody who has a backyard ought to take care of the wildlife. It's very soothing to look out your window and see butterflies and birds." Mrs. Scott is survived by four stepchildren: Carrie Makover, Stan Warnow, Deborah Scott Studebaker, and Elizabeth Adams, as well as fourteen grandchildren. A memorial service will be held on Friday, June 22, 11:00 am, at St. Stephen’s Episcopal Church, 24901 Orchard Village Road, Santa Clarita. A reception will follow in the church hall. The service is open to the public. In lieu of cards and flowers, her family has requested that donations be made in the name of Mitzi Scott to City of Hope (via check payable to "Hope is Forever," mailed to Hope is Forever, c/o Chick Benveniste, 409 Meadows Drive, Glendale CA 91202), or online to the Society for the Prevention of Cruelty to Animals. A very sweet and generous lady. She was a joy to know and it was an honor to help restore her husband's name and fame. I told her it was going to happen but back then I'm sure both of us had our secret doubts as to whether or not it would. And her love of unfortunate animals is well known. A very warm and caring woman. There's a big hole in my heart. Stan and I were emailing yesterday that Mitzi had been part of our lives (and our kids lives) for well over 40 years. She was so loving and supportive of our father. He was lucky to have had her for all the time he did. We will all miss her. Wonderful words about and for Mitzi. While I never corresponded with her I could imagine she was nothing short of an amazing woman. Sending my very best to friends and family. Beautiful lady...with a beautiful smile. She will be missed. My condolences to the family and extended family, and thank you Irwin for posting this tribute. Lovely tribute of a very positive enabler of R Scott's wonderful excesses. A true 20th Century Romance as Illustrated in the recent film by Ray's son. A Kaddish for those no longer among us.